The onset of fires ravaging California on Tuesday, Nov. 13 have been made worse by strong winds oxygenating the wildfires, while blowing and transporting the smoke and debris to neighboring areas. 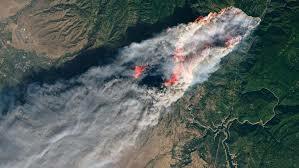 The three simultaneous fires in question, named after the locations from which they originate, are located in the northern and southern regions of California. Additionally, there are two fires in the southern region. The Woolsey Fire has grown to encompass two counties: Los Angeles and Ventura. The fire has garnered attention in the media for its devastating coincidence with the other ongoing fires. Additionally, notable celebrities such as Cher, Rainn Wilson and Miley Cyrus have taken to social media to share their personal grievances surrounding the devastation of the wildfire and shown solidarity with those impacted by the wildfires. The Hill Fire, the second fire in the southern region, according to live updates on the California Fire Twitter page, has been 94 percent contained. Containment stops the expansion of the fire, aiding firefighters in the extinguishing process. This reduces inefficiency and enables firefighters to harness their resources and increase their effectiveness within limited perimeters. A combination of strong wind patterns in proximity to the northern Camp Fire has contributed to the poor air quality in the Bay Area. An AQI of 151–200 is considered unhealthy, and 201–300 is very unhealthy. Anything above these numbers is considered hazardous, as the particles in the air reach a density that are considered to have negative health consequences for everyone. On Friday the 16th the AQI reported a level of 249. However, as early as Tuesday, the 13 students in class felt the impact of the smoke from the fires, which was reported to be within the AQI 160 level. One student was Katherine Zevallis, who reported to have immediately felt the effects of the smoke, and has been wearing an N95 mask (which filters micro dust particles) to and from campus ever since. “My heart is like, elevated at all times, which I found out is not anxiety but is an effect of the air quality, my chest is really heavy, and it’s been very unpleasant,” said Zevallis. Issues such as air quality compound external factors that trigger internal stress responses. Mills Physical instructor and Neuromuscular Re-Integration specialist Marisa Pugliano states that the effects of the worsening air quality are cumulative, “so people have to take [sic] even extreme caution right now, and steps to protect themselves because their respiratory systems and their immune systems, everything is already in a slightly depleted state.” She concludes that relative to everyone’s own health, efforts should be made to reserve energy and limit time outdoors. 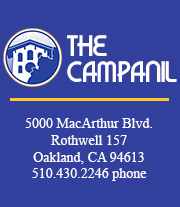 Emails on behalf of the Mills College administration have been sent to students and staff to inform them on resources available on campus such as N95 masks at the Vera Health Center, as well as maintaining communication regarding the logistical and safety concerns of those in the Mills community. As of Friday evening, classes will be cancelled for Monday, Nov. 19, and Tuesday, Nov. 20, following similar predictions of poor air quality.